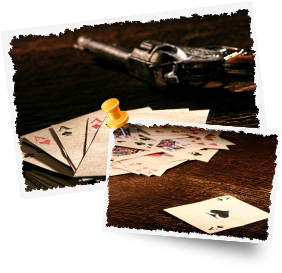 If you’re looking to play online Texas Holdem for real money, then you’ve come to the right place. We wanted to make sure our visitors had all the context necessary to play real money Texas holdem. The history of real money Texas Holdem in the USA can be murky, because federal and state authorities have changed gaming laws often in the past 10 years. Besides that, law enforcement agencies have changed policies on a whim during the same span. With several electronic cash payment services being targeted by United States gaming agencies and others removing themselves from the US market because of lingering concern about the same thing happening to them, it’s hard for US online gamblers to know which legitimate poker sites they can make deposits to. 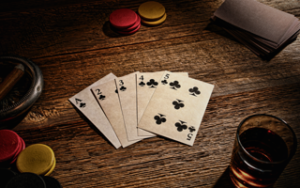 For these reasons, we’ve tried to create a story and timeline of the best texas holdem deposit methods in the United States these past few years, while listing the current payment services and casinos which accept US players. Before we get into a discussion of specific poker deposit options, we should mention the Wire Act of 1961. The Federal Wire Act was enacted in 1961 to make sports betting over the phone lines illegal. The law tried to outlaw sports bookies. For decades, it was the law used to govern and punish illegal sports books. The act was sometimes used to take down mobsters, much like they would be prosecuted for tax fraud when the Feds couldn’t find other ways to put organized crime figures in prison. When online gambling started in the mid-1990s, American casinos in Las Vegas and Atlantic City claimed to notice a drop-off in its customer base. These casinos recognized the danger they faced from Internet casino operators. As the technology became more reliable and faster, more gamblers stayed home to play their favorite casino games online. Brick-and-mortar casinos saw this as a mortal danger, so they started to lobby for anti-gambling laws to police online casinos. A strange alliance formed between casino interests and moral crusaders who found gambling immoral, as both wanted to squelch the nascent online gambling industry. For a long time, these tactics didn’t work. By 2001, online gambling was a billion dollar industry. As online casino software became better and more people had high-speed Internet access, more people stopped going to Vegas or New Jersey and instead played online games. When the Chris Moneymaker boom caused a mainstream craze for online gambling from 2003, the big online gambling companies began to make huge profits and produce commercials for their games on television, radio, and the Internet to draw in more customers. This high visibility may hurt the industry in the long run, as moms and dads (and politicians) began to see what the various anti-online gambling groups had been talking about for years. In 2006, the Unlawful Illegal Gambling Enforcement Act went into effect. The UIGEA was tacked onto the Safe Port Act of September 2006 by the Republican-controlled U.S. Congress. Citing the 1961 Wire Act, UIGEA made most forms of cash transfers for the sake of gambling illegal. Proponents of the use of the UIGEA and the Federal Wire Act to outlaw online gambling in America claim that the Wire Act covers all forms of Internet gambling, while UIGEA opponents assert that the Wire Act only covered sports gambling. Since the passage of UIGEA, the online poker industry has challenged the law in court. They argue the law is an unconstitutional invasion of privacy and, more specifically, UIGEA only covers sports gambling. The U.S. 5th Circuit Court of Appeals has ruled that this argument is correct. But the Supreme Court hasn’t heard or ruled on that decision yet. And the Supreme Court will be the ultimate arbiter of whether UIGEA is constitutional or not, if the Supreme Court ever chooses to see the case. Online gambling operators haven’t depended solely on the U.S. court system. They took their case to the World Trade Organization. 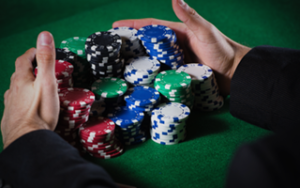 The WTO has ruled that the U.S. laws against online gambling break several treaty obligations the U.S. government had signed in good faith. The American government has subsequently ignored these rulings for years. Once UIGEA went into effect, many online casinos and Internet cardrooms left the U.S. market. At the same time, many third-party money transfer services sprung up to circumvent UIGEA. The idea is that a casino can’t accept money for gambling from a poker player, so the poker player sends that money to a third-party cash transfer service, while that service sends that money along to the casino. Third party processing is a murky, unclear, and gray legal area. 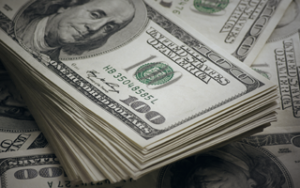 Funds can be seized at any time, something the Black Friday case of 2011 has underscored to great effect. Many US lawmakers and law enforcement officials would like to score points with the public by outlawing or prosecuting online poker, but some brave souls continue to provide deposit options. Here is a list of poker deposit options along with some observations about the efficacy and the history of each option. We plan to populate this section with links to our Texas Holdem rankings pages. Players will find their heaven here, whether they are searching for the loosest poker websites or the most trusted operators in 2018. We will also list websites that have long standing reputation and won’t backfire on you where you can place bets for as low as a quarter. In brief, you will find a lot of poker goodness in this section of the site ! Most holdem sites for money accept deposits using credit cards issued by Visa and Mastercard. Read the buzz about specific casinos that might reject your credit card transactions, because casinos may want you to use other methods on occasion. Debit cards issued by Visa and Mastercard, such as Visa prepaid debit cards and Maestro debit card, are accepted. But even if a Texas Holdem site is willing to accept payment via a Visa or Mastercard, the credit card company will often decline the transaction, especially if it’s coded as a gambling related transaction. 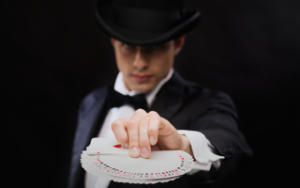 Most online casinos and cardrooms do not accept or process American Express cards. But if you want to use it as a deposit method, check the site at which you want to play. A few companies do accept Amex as a payment method. Gift cards are not only accepted by most online cardooms, but most online poker sites love this deposit method. An increasing number of online cardrooms even offer bonus rewards for people who make deposits using gift cards, so look to see if the poker room you want to use offers gift card bonuses. 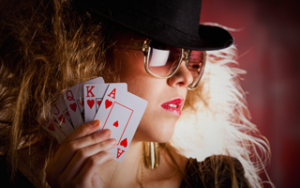 Prepaid debit cards are another rage with Internet casinos and cardrooms. Prepaid debit cards are much like gift cards in that poker sites view them as money in the bank, even more so than credit card payments. Western Union remains a reliable payment option for American players. The fees for using Western Union for these kinds of transfers are higher than most other payment options, but Western Union is probably the most reliable and trustworthy deposit and withdrawal method available. Most poker sites accept wire transfer. Using this as a payment and withdrawal method tacks a few extra days on the process–especially for withdrawals. Also, the minimum deposited and withdrawn on wire transfer payments is sometimes higher. MyPaylinq is an electronic pay service offered by Bodog that’s accepted at many poker sites accepting U.S. players. This service works like NETELLER or PayPal does, but was designed to give US poker players specifically for use funding online poker and casino accounts. Netpay has been around since 1998. Netpay has offices in Chicago, Edgware (United Kingdom), Ramat Gan (Israel), and Nicosia (Cyprus). It’s an electronic pay service like any other, though you might not have heard of it. When you Google Netpay these days, the #1 spot goes to Cornell University, which suggests its students pay tuition through Netpay. If you’re wondering what the heck a “skrill” is, that’s the rebranded name of what was once Moneybookers. Moneybookers is one of the largest money transfer companies in the world, owning all kinds of electronic services you’ve seen on online gambling sites. The new Skrill is licensed or can operate without a license in 47 U.S. states, though their official website lists California as “license pending” and states like Illinois and Tennessee as “coming soon”. Skrill is also licensed in the District of Columbia, Guam, Puerto Rico, American Samoa, the U.S. Virgin Islands, and the Northern Marianas Islands. Although eCheck casinos are mostly found in Canada, there has been a number of them operating in the USA Market. Most of them have been indicted following the Black Friday events however. As such, we recommend to use eChecks at Canadian real money poker sites, rather than US facing, where the convenience of depositing comes as too high a risk. Some of the online casinos that accept U.S. players also accept Diners Club, Fast Wire, Moneygram, and MoneyLineWallet. Others include ecocard, and entropay. An American poker player who wants to gamble online can still find options, although the legitimate Texas Holdem sites are few. Those same players can find plenty of real money poker deposit options in the USA, so long as they take time to look. Research the cash transfer options you come across, although you should feel pretty safe about the methods listed in this article–so long as no more Black Fridays happen.